For three weeks near the end of the fall semester, the Graduate Student Organization’s website went dark. It was not breached or impacted in the same manner as a certain political party’s website on Long Island. The lack of access to the GSO’s website was the error from poor fiscal planning by the Executive Committee for the Graduate Student Organization (GSO). Particularly, the GSO failed to pay its website hosting bill on time. In turn, the website was taken offline until the host provider received proper payment. Can you imagine that? A student group on campus that has a budget of close to $662,000 could not pay a bill on time. It is a calamitous situation that an on-campus student organization run by stressed graduate students also needs to worry about hosting fees as well as their teaching assignments and studies all at the same time. It is also odd to fathom the reason why the campus has not guaranteed a certain level of help that it could offer to all student organizations. The institution where I did my undergraduate provided website hosting to the campus organizations at no charge because it was so minimal. However, the GSO is currently responsible for the maintenance and hosting of its website. During this blackout, the graduate community’s ability to download voucher forms necessary for reimbursement and their ability to de-stress during finals was severely impacted because they did not know what was being offered by the GSO. As graduate students worried about finals, they could not find outlets for recreation because the website with that information was taken down. The GSO collects a student activity fee from every graduate student at the start of each semester and uses that money to hold events throughout the year. Although the Executive Committee for the GSO has published a public apology for the inconvenience on Facebook, I believe more work needs to be done to mitigate any similar issue from occurring again. Therefore, the Executive Committee should take certain actions that would remedy this in the future and invite more participation from graduate students. 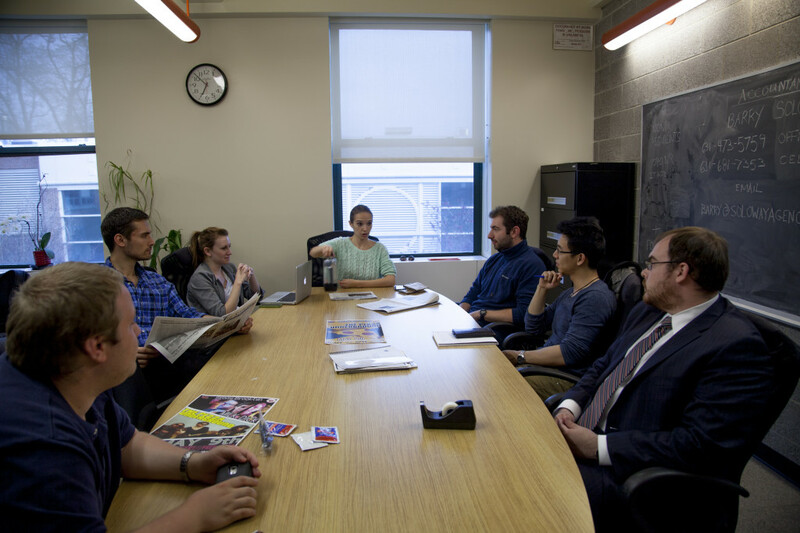 As a suggestion, the committee could adopt administrative policies that promote more graduate involvement in their daily operations by following a cue from the Stony Brook Council and list its executive committee meetings on its public calendar. Presently, the Executive Committee does not publish its meetings in advance nor does it allow for public questions during their meetings – executive or otherwise. To make matters worse, the GSO Senate adopted a policy that requires candidates running for a student position to attend two meetings to be considered a valid candidate. However, there is no sign-in sheet for the general public (read: graduate students not previously involved). Are they worried that graduate students would show up and protest all at once? I pose this question not to poke fun but to raise a topic for discussion. In 1977, the State University of New York (SUNY Wide) drafted a policy document that guides state-operated campuses to behave in a certain fashion. It determined that meetings on state-operated campuses that were held in a governing function should be open for public participation. SUNY Wide further argued that state-operating campuses should promote public participation and transparency in their use of public funds by taking actions that would solicit public input. Therefore, SUNY Wide adopted Policy 6602. This policy requires state-operated campuses to follow a particular New York state law commonly called the Open Meetings Law (§§ 100–111). The legal directive defined how public meeting should be formatted whenever a quorum is present. In 1995, The Statesman received a clarification from the New York Department of State that said student governments on campus must also follow the same law that the SUNY Wide policy was meant to address. The New York Department of State Opinion argued that, “a State University of New York student government’s allocation of mandatory activity fee monies to a particular organization constituted a “state action.” The opinion furthered this by saying, “Thus, the Polity organizations within each SUNY campus are the direct agents of the SUNY Trustees. And, they exercise Trustee power delegated to the Trustees under New York’s Education Law (§ 355). They are therefore clearly and inescapably state ‘agencies.’” The New York Department of State policy is clear and I hope the Graduate Student Organization heeds this call for action and in the spirit of transparency aligns itself with accustomed behavior for other governing bodies on campus. I think graduate students deserve better to be left out in the dark.